Seeking algorithm behind End Point Rate (EPR) to calculate movement of shoreline over period of years? transect lines from baseline to shorelines. I have the lat/long of the intersection points of transect lines and shorelines. The distance between shoreline and baseline from the intersection point. 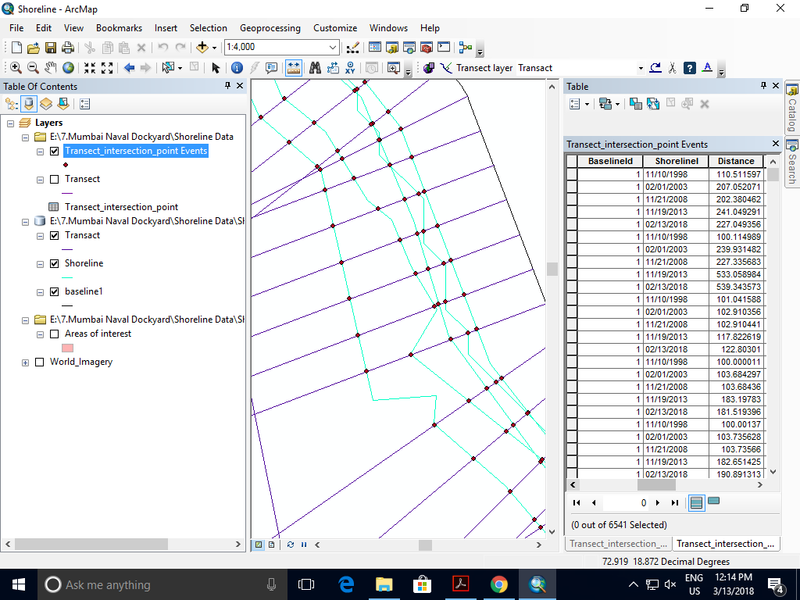 I need to calculate the EPR (End point rate) and NSM (net shoreline movement). My DSAS Tool is not working due to some .dll file missing. I need to figure out the algorithm behind these calculations. Any suggestions? Browse other questions tagged algorithm shoreline or ask your own question. Seeking Algorithm to detect circling and beginning and end of circle? Seeking algorithm to find point on surface with highest visibility?